Cornelius Peter Van Ness (January 26, 1782 – December 15, 1852) was an American politician of Dutch descent from the US state of Vermont. Van Ness was a Democratic Republican. He is the father of James Van Ness who was a Mayor of San Francisco. He was born in Kinderhook, New York on January 26, 1782 and he attended Washington Seminary. 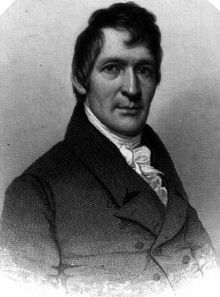 In 1800 he joined his brother William Peter Van Ness's law office in New York and he was admitted to the New York State Bar Association four years later. He moved to St. Albans, Vermont in 1806 and later to Burlington, Vermont in 1809 when he was appointed United States district attorney for the district of Vermont. He was made collector of customs for the district of Vermont in 1813 and in 1816 the president made Van Ness commissioner on the part of the United States to settle the northeastern boundary. His son James became a Mayor of San Francisco and his daughter married the British diplomat William Gore Ouseley. He was elected to the Vermont House of Representatives in 1818, he was later appointed as appointed chief-justice of the Supreme Court of Vermont from 1821 to 1823. In 1823 he became Governor of Vermont. After being twice re-elected, in 1826 he declined re-election and went back to practicing law until 1829 when he became envoy extraordinary and minister plenipotentiary to the court of Spain. William T. Barry was appointed to the post in April 1835, but died before arriving August 30, in Liverpool. President Jackson then appointed John H. Eaton to the post in March 1836 and Van Ness left the position on December 21, 1836. Van Ness died on December 15, 1852 and was buried in Oak Hill Cemetery in Washington DC.